It’s been nearly seven months since Avengers: Infinity War broke the hearts of Marvel fans worldwide. That’s probably enough healing time, but just when you thought the whole saga was done and dusted, another reminder gets sent your way. 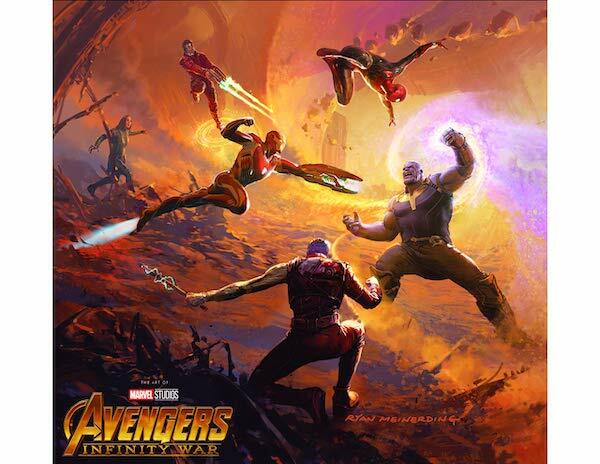 Marvel’s new Avengers: Infinity War - The Art of the Movie book has only just been released to the masses, but some pages had already been leaked by insiders over the past few days. One massive spoiler of the book, shared by YouTube channel Filminerd on Twitter, reveals that the film’s end fight could have taken place a lot differently. Whereas the finalized battle showed ‘Thor’ going head-to-head with ‘Thanos’, it appears that Marvel Studios had intended for more characters, including ‘Captain America’ and ‘The Hulk’, to combat the supervillain. Perhaps the book might explain why the other ‘Avengers’ were excluded in the end. If not, fans could get their closure when Avengers 4 kicks off in 2019.